Well 2018 is almost over, and what a year it was! I’ve done my very best despite some challenges, especially with my Dad’s health, to work towards my goals and I’m very pleased to say that I’ve managed to achieve some of them. There has been some sadness in 2018 though as in May my beloved Uncle Vincenzo passed away age 89, and I had to adjust to the fact that he had finally gone. It was hard to do. Despite my Uncle’s passing there have been many positives in 2018. A film I had been looking forward to for many years was finally released – Bohemian Rhapsody. I was diagnosed in June as being #ActuallyAutistic, which was a very positive thing because it finally explained why I am the way I am. It was such a relief to know that I am not difficult, my brain is just wired slightly differently. I had articles published in magazines through my work as the CEO and Founder of the UK Cyber Security Association. Then in the summer something happened to me that was life changing. I can’t say what it is here but suffice to say that what happened meant that the world is now my oyster and I have choices in life that many of us can only dream of. This, in addition to my Dad’s ongoing health issues, made me realise that life is very, very fragile indeed. It also made me realise that without health you have nothing, and if you don’t have good health all the success, wealth and money in the world doesn’t mean a thing. You should seize the moment and take every chance and opportunity that is available and comes to you because it could all be taken away in the blink of an eye. Life is very precious indeed, and I intend to continue to seize the moment in 2019 and beyond. It has been an amazing year and I even achieved my dream of being a published author through my work, which was incredible. I’ve written and contributed to numerous white papers, reports, articles and blogs through my work at Corinium Global Intelligence and Boost Technology Group, and I was approached through my work with the UK Cyber Security Association to write articles for various magazines including Counter Terror Business Magazine, Global Europa Magazine and FC Business Magazine on the importance of cyber security. I’m finally beginning to establish myself as a leading cyber security expert and thought leader in the industry. Much of my work in 2018 was also aimed at the emerging C-suite roles in data, analytics, machine learning, artificial intelligence, technology, IT and more. 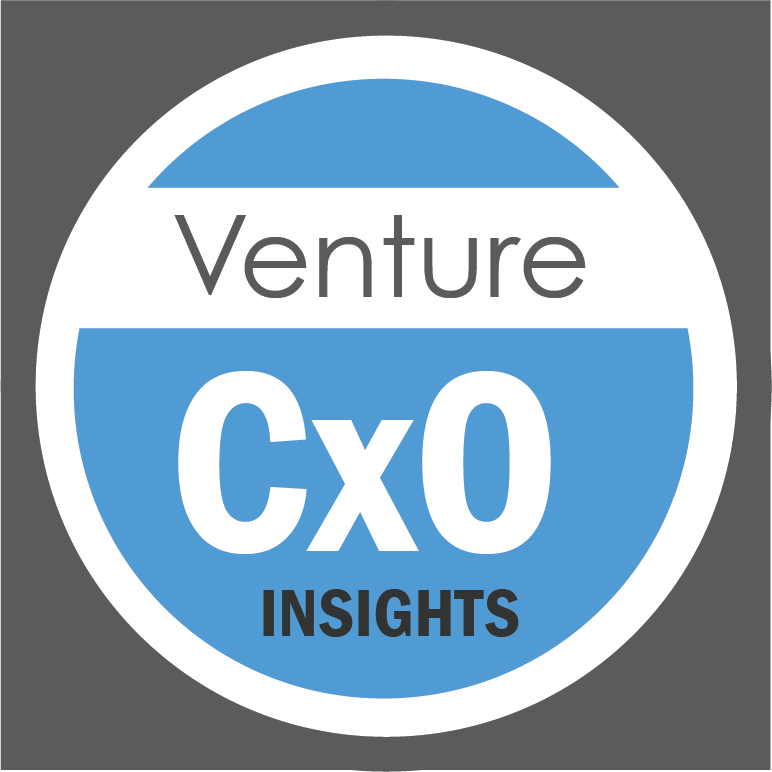 It is this work that led me to founding Venture CxO Insights, which will be launched in early 2019 and include articles, blogs, reports, white papers and more aimed at the C-suite to help them make sense of digital transformation and cyber security. 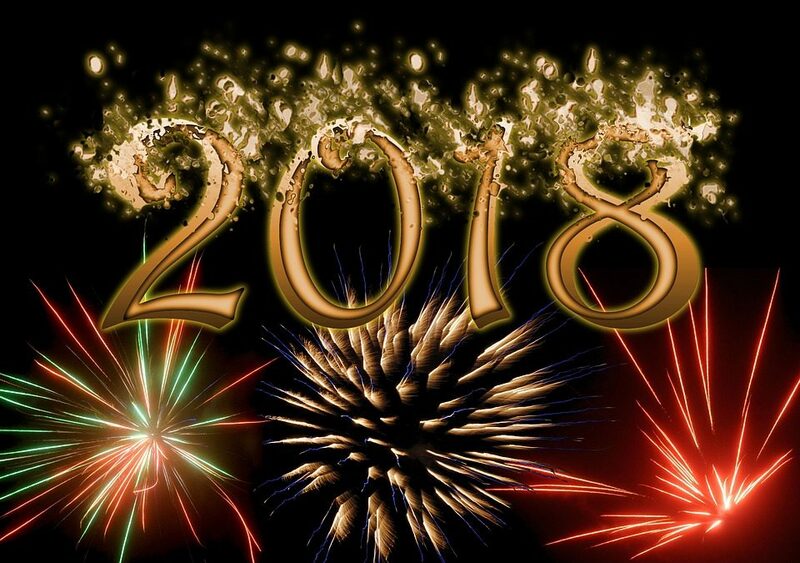 I consider 2018 to be the year that I finally established myself in the cyber security industry and put the building blocks in place to this which included building websites and social media channels to promote myself and my work with the help of my husband Russell. In 2019 I will be taking this a step further with more article commissions, keynote speaking engagements, attending relevant conferences and events and even writing books to be published via Amazon Createspace. 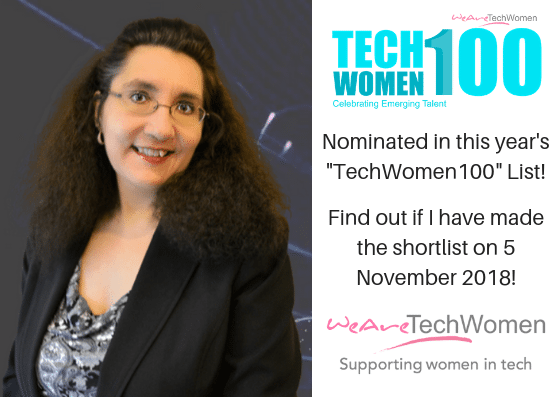 I was also very proud to be one of the finalists in the Significant Achievement category in the Wonderful Worcestershire Women Awards this year and also to be included in “We Are The City’s” Top 100 Women in Tech list. 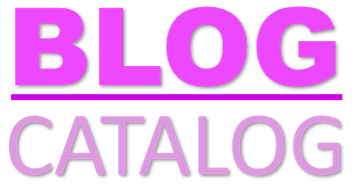 As well as the article commissions that I had in 2018 through my work in cyber security I also worked hard on establishing myself through my blogs, particularly my blog “Cyber Geek Girl”. 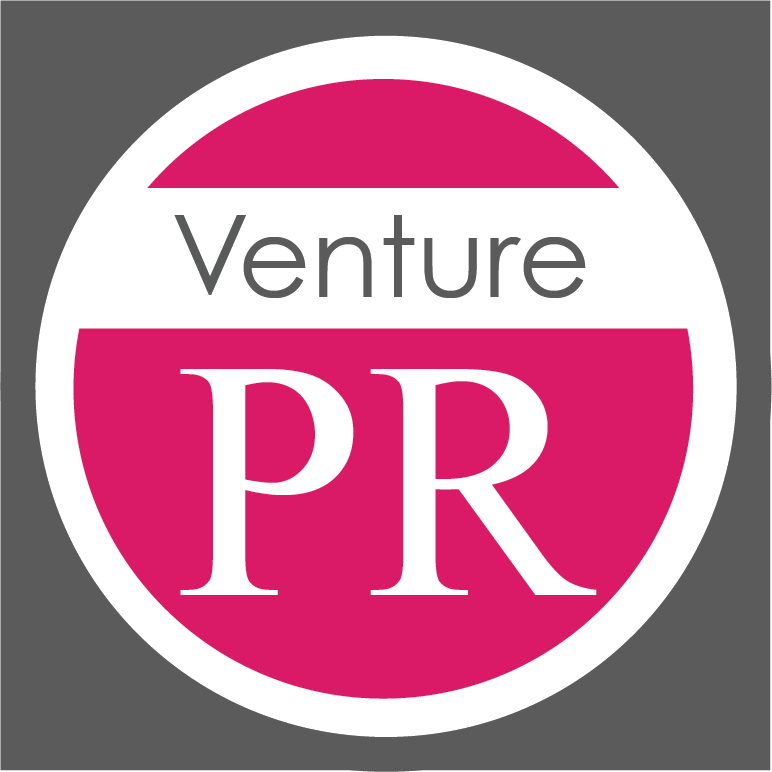 Throughout 2018 I wrote numerous articles, reviews, top-tip lists and reports for my blogs and I even picked up some partnerships with relevant PR and marketing agencies to host guest blogs for them for a fee per featured post. This arrangement has worked really well and I hope to capitalise on this next year. Two of the most popular posts on my “Cyber Geek Girl” blog included a review of the film “Threads”, a docu-drama released in 1984 by the BBC which depicts what would happen in the UK in the event of a nuclear war and one about my memories of Queen and Freddie Mercury which was inspired after seeing the film “Bohemian Rhapsody” for the first time. The popularity of my post on “Threads” led me to having an idea to write a book about the impact that the film had on a cold war generation. The one thing I wish had been better in 2018 is my Dad’s health. He was taken ill in October 2017 when he suffered a severe seizure, and since then he has had a myriad of things happen to him and has not fully recovered from what happened to him. In January 2018 he was diagnosed with temporal lobe epilepsy and his medication was changed from epilim to one called Keppra. This knocked him about so badly that he had to come off it and go back on epilim, and when he was on Keppra he was actually having more seizures, albeit partial ones. It didn’t end there as he was diagnosed with some other conditions that he now has to live with on a daily basis and his mobility is currently very poor indeed. We try to keep him as positive as we can and try to make the best of things for him, and we hope that tests will reveal exactly what is going on once and for all in 2019. My husband acts as my Dad’s carer while I work and I am so grateful to him for his help and support. We muddle through as a family as best we can and we’re all here for each other and do the best we can. Despite everything that is going on with my Dad I have ensured I’ve made time to have regular catch ups with my friends and go out with them, so I can maintain some semblance of normality. 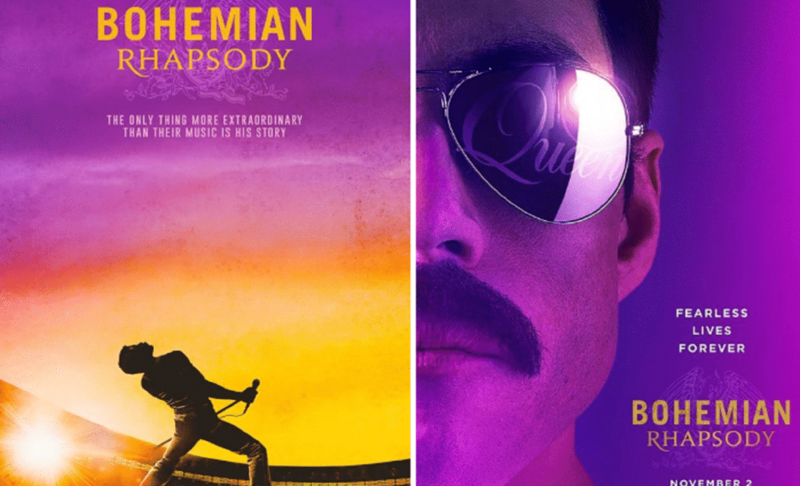 The biggest highlight of the year entertainment wise for me was the release of the film “Bohemian Rhapsody”. As a lifelong fan of Queen and Freddie Mercury I had been waiting for this film for years, and it didn’t disappoint. It was so good that I went to see it at the cinema a total of four times, and I enjoyed every minute of it every time I went to see it. I now cannot wait for it to be released on Blu-Ray and DVD. I also went to the cinema to see the new Johnny English film and the new “Halloween” film, which also didn’t disappoint. I saw “Mamma Mia: Here We Go Again” twice at the cinema in the summer. The latter half of 2018 was a great time for films, and I’m looking forward to seeing what 2019 brings. I didn’t get to go out to many live music gigs this year, in fact I don’t think I managed one. This is despite the fact I got tickets to see John Coughlan’s Status Quo at The Marrs Bar earlier this year, but I completely forgot about it and missed the event, which is unlike me. That said, with so much going on with my Dad it was inevitable that I forgot something, and it just so happened it was that. In 2018 I became more of a “homebody” and these days I much prefer staying in and watching films and TV in my own space. I love my subscriptions to NOW TV and Amazon Video, and I’ve found lots of interesting things on YouTube to watch this year. I think this trend will continue for me in 2019. As I head into 2019, I know that whatever life throws at me, and whatever challenges I have, I will deal with them as they happen. Unlike previous years I will not set any new year resolutions or goals that are too rigid and unmoveable for 2019, because as 2018 has taught me you just don’t know what is around the next corner. I know what I want to do, and I know that I want to achieve it, so I will learn to pace myself more and try to embrace the concept of doing more in less time, so I get to have some me time and time to relax and regroup. This is something I’ve not done too much of in 2018. Whatever your goals are for 2019, whatever you want to do or achieve, I have one piece of advice, just go for it and live in the moment. You never know when things might change, and they can change in the blink of an eye. So, enjoy life and grab it with both hands while you can. 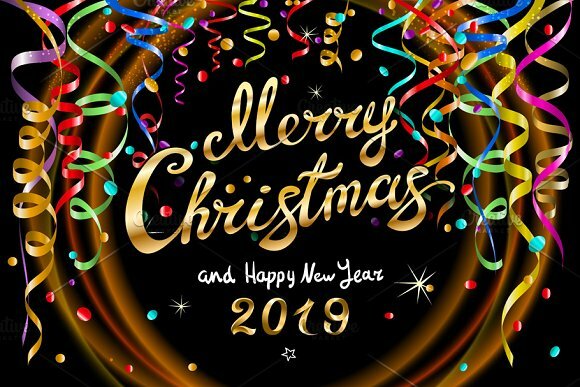 I wish you all a very happy and prosperous 2019. May it be your year. 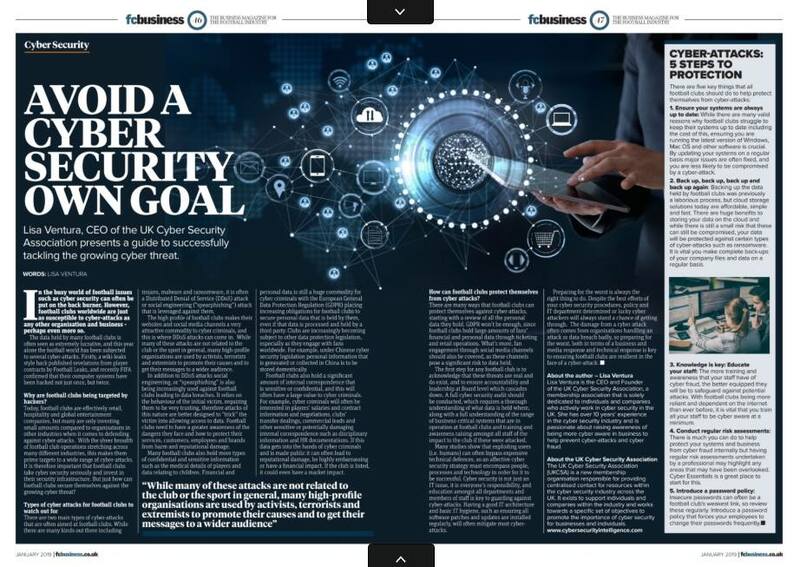 I’m delighted to share this article that I contributed to FC Business Magazine which talks about how football clubs can protect themselves against cyber attacks, the types of threats that are out there, how sophisticated they are becoming and what can be done to combat them. This is the fourth in a series of articles on cyber attacks and staying safe online that I will be sharing on the subject as I work towards educating the business community and general public about the cyber security threat. Cyber security is everyone’s responsibility, and with more and more attacks occuring on a daily basis it has never been as important as it is today. You can read the article here – https://cloud.3dissue.com/6374/7271/131371/FCB114/index.html?r=57 – on pages 16 and 17. I’m delighted to share this article that I contributed to Counter Terror Magazine which talks about the growing cyber security threat, the types of threats that are out there, how sophisticated they are becoming and what can be done to combat them. This is hopefully the start of more articles that I will be sharing on the subject as I work towards educating the business community and general public about the cyber security threat. Cyber security is everyone’s responsibility, and with more and more attacks occuring on a daily basis it has never been as important as it is today. 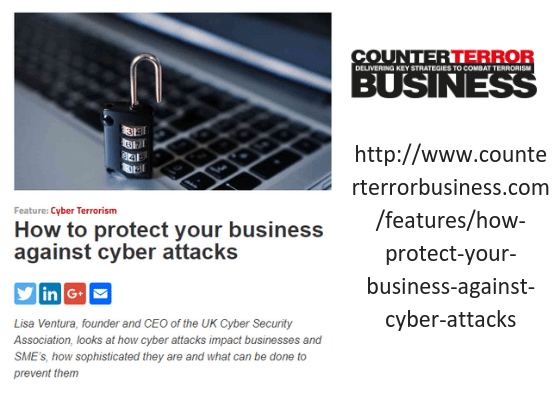 You can read the article here – http://www.counterterrorbusiness.com/features/how-protect-your-business-against-cyber-attacks. I’m very excited and proud to announce I have been nominated for inclusion in We Are Tech Women’s “TechWomen100” list for 2018 for my contribution to the technology industry. The We Are Tech Women “TechWomen100” Awards aims to recognise women in the technology industry who are champions for women in technology and the organisations who have designed and implemented successful initiatives and programmes in order to attract, retain and develop female tech talent. By highlighting the accolades of up-and-coming inspirational female talent, the awards also aim to help create a new generation of female role models for the industry. The “TechWomen100” awards are the first of their kind to focus solely on the female tech talent pipeline and recognise the impact of champions, companies and networks that are leading the way and are supported by leading organisations such as Worldpay, BAE Systems, Credit Suisse and Accenture. I am absolutely delighted to find out that I have been nominated to be included in the 2018 “TechWomen100” list. Great progress is being made to help women shatter the glass ceiling and enter careers in the technology industry, and this forum is a great way of recognising and providing inspiration to other women who are considering joining the technology industry. Nominations are open till 28 September 2018, with the shortlist announced on 5 November 2018. The winners will be announced on 10 December 2018 following a public vote. For more information about We Are Tech Women’s “TechWomen100” list for 2018 and how to nominate someone, visit https://wearetechwomen.wearethecity.com/techwomen100-awards-2018/.